08854 passes Splott Junction on 6 July 2002 with the Monmouthshire Railway Society 1Z27 10:15 Newport to Margam Moors 'Demon Docker' railtour. 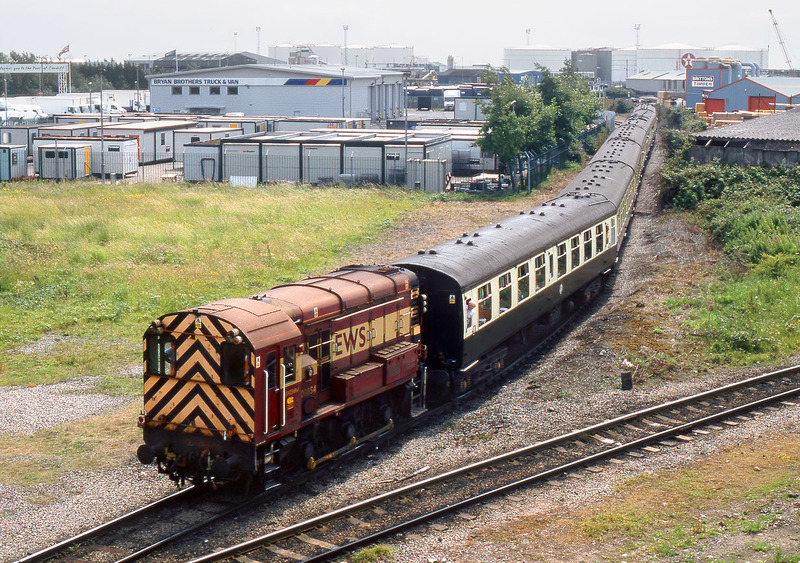 The train had just visited the Minimet Terminal at Cardiff Docks, having worked down the branch behind 08951. The line diverging to the right heads for Long Dyke Junction, via the Allied Steel & Wire works.